Two very exciting, gamechanging new accessories for Vive owners were unveiled at CES. First, the $249 TPcast adaptor which makes your headset wireless and will be available to pre-order globally pretty soon. 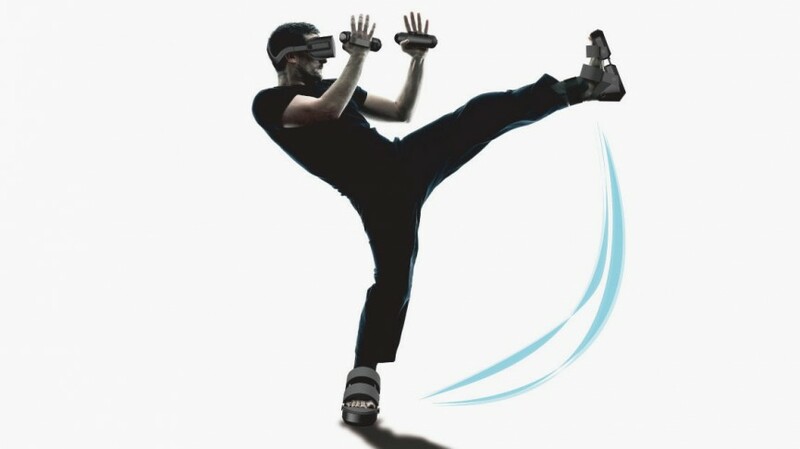 But more exciting is the Tracker accessory, coming later this year, which can be attached to gloves and other objects – like baseball bats – to track them in VR. Very cool. From HP, Asus, Lenovo and Dell. We don’t know much about them and we haven’t even been able to try a working Windows Holographic VR headset yet but they will launch later in 2017 and cost between $300 and $400. So, yeah, PlayStation VR prices. That’s right, Alloy is still a thing. Unlike Microsoft, Intel hasn’t let us in on the secret of who will be building its mixed reality headsets. But we were treated to some new demos showing multiplayer gaming. Coming late in 2017. Note, Samsung wasn’t pretending to have sold this many when it made this announcement at CES. As we know, many have been bundled with Galaxy phones. Still, it’s impressive as is the stat that more than 10 million hours of video have been watched inside its mobile headsets. That’s right. The $150 Reliefband Neurowave is designed to be worn while travelling, on rides or in VR to stop nausea via specific pulses applied to your wrist. It’ll be available by the summer and, really, something like this should come as some sort of free/cheap accessory with high end headsets. Especially as Intel handed out sick bags at its VR conference. These have been getting a lot of attention on the showfloor. The idea is you slip the VR shoes on and let three tactile, vibrating sensors increase the immersion in your VR environment. 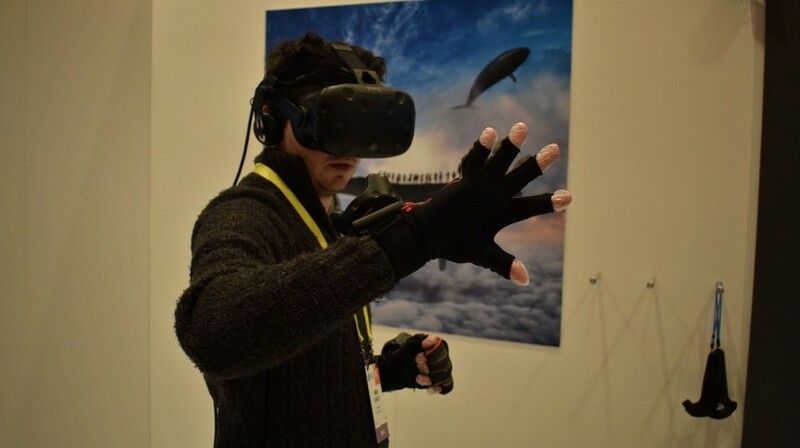 Initially designed for Daydream and accompanied by VR gloves, Taclim – as they are known – will initially cost about $1000. So over 8x price of a mobile VR headset, then. Not so much a suit as a VR vehicle, Hypersuit is pretty cray. You jump aboard on your front like you would a motorcycle and then get into virtual experiences e.g. flying like a bird while “riding” this thing. Nuts. A new collab between Felix & Paul Studios and Cirque du Soleil means there’s a fresh, 12 minute VR vid. The twist? All the usual acrobatics are underwater. It’s on the Oculus Store for Gear VR now. Fox Innovation Lab teased that some big movie franchises would be getting VR tie-ins this year and the first is an Alien: Covenant project exec produced by Ridley Scott himself. The movie is out in May but we’ll probably see the VR horror short before then, maybe at Sundance. HTC has teased a subscription service for VR content at CES due to launch in Q2 of this year. No details yet on what will be included and how much it’s going to cost but it’s still a one-up over Oculus and Facebook. What VR news did we miss at CES? Let us know below.